For Sale in Newcastle upon Tyne for Offers Over £400,000. Overlooking Ponteland Park, a stunning property which oozes style and offers versatile accommodation. Wood entrance door leading to hallway and WC, stunning breakfast kitchen/dining/family room, utility and WC, formal lounge, master bedroom and family bathroom, three further bedrooms one currently used as a study and one of which has an en-suite, WC. 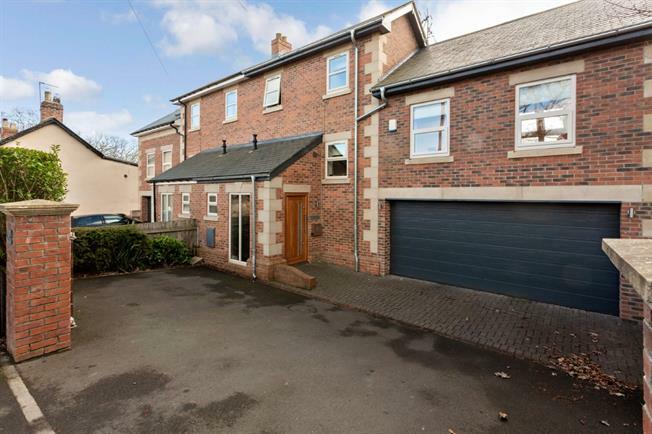 Externally the property has electric gates and driveway to front, side garden with log store leads to the rear garden which has been elevated to provide a great space for outside entertaining/play for children and with access direct to Ponteland Park.